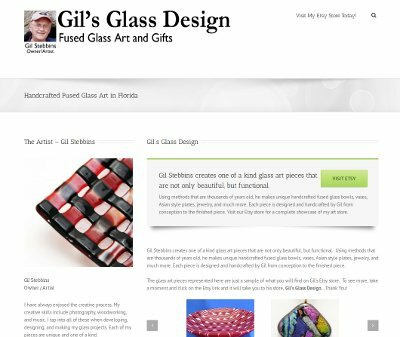 Gil contacted his son, Sam, to have him create a website for him to showcase and help advertise his fused glass artwork and designs. Sam is one of our highly-skilled website designers and does a fantastic job for BsnTech Networks and our customers. Therefore, Sam wanted to put his talents to his for his father and create a good-looking website for him. After about a week of work, Sam completed Gil’s website – and there is plenty of items showcased on the website! Thank you Sam for doing such a great job for our customers and for your high level of service that you provide to everyone! Gil’s website is at gilsglassdesign.com.